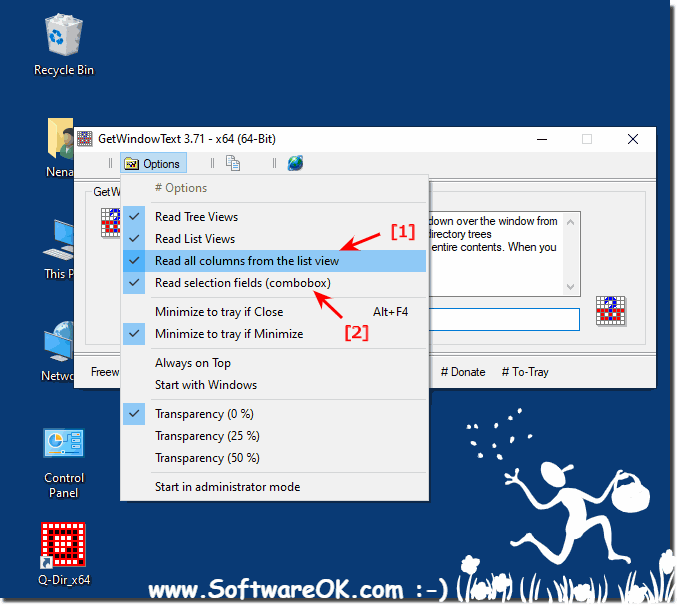 The option to read the details of the columns in the list view must be enabled (activated) in GetWindowText ! Please start the Freeware GetWindowsText and click Options! (Image-1) Read the columns details from each row in the list view! GetWindowText - FAQ-1: GetWindowText does not read the columns for each row in the list view, why?